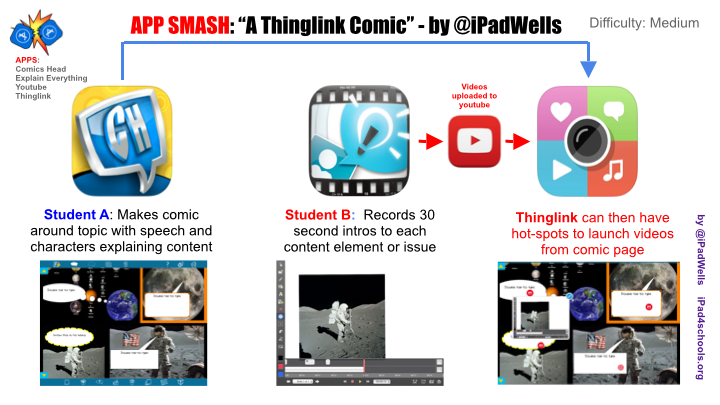 Comics Head + Explain Everything + Youtube = Thinglink This creates an online interactive poster that launches extra content using hotspots. 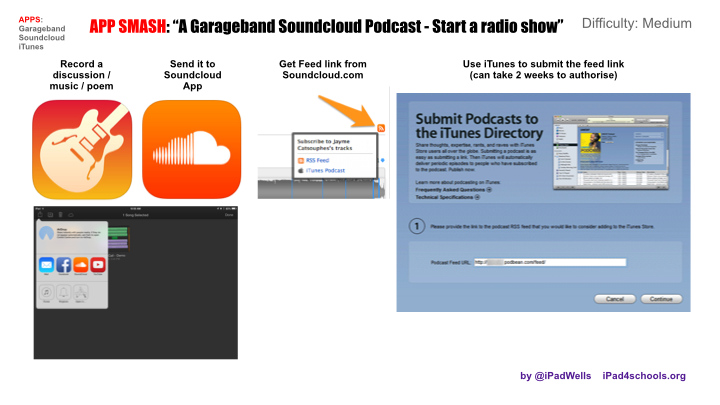 Garageband + Soundcloud + iTunes = Student radio show Give your students a voice and experience great digital citizenship with running a radio show. 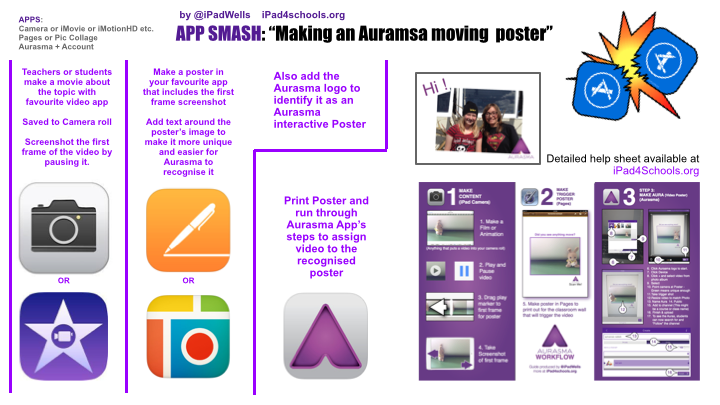 Camera or iMovie or iMotionHD + Pages or Pic Collage = Aurasma Posters Make video creations more accessible to other students using Aurasma posters that come to life on the classroom wall ! For more examples check out Greg’s excellent presentation from last year’s EdTechTeacher Summit. 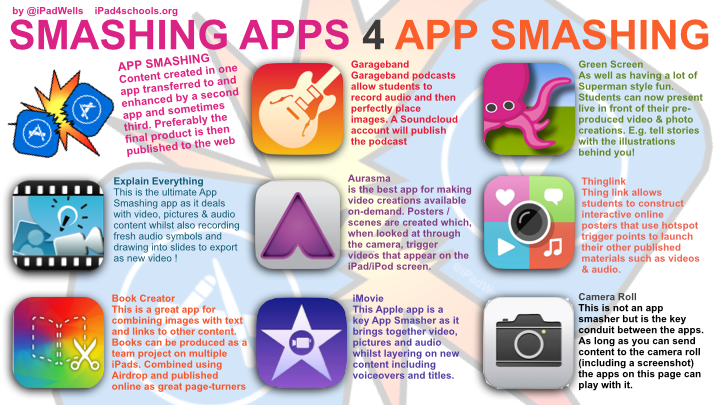 The challenge of app smashing keeps students on their toes and can increase collaboration between them. It adds a layer of creative problem-solving and also can lead to competition around out-smashing each other. The key when encouraging App Smashing is to make very clear the assessment criteria and ensure the students know that the final products will be judged on their effectiveness to prove their level of understanding and not just in their technical wizardry. Keep an eye on Twitter using the Hashtag #AppSmash for other ideas and apps too.